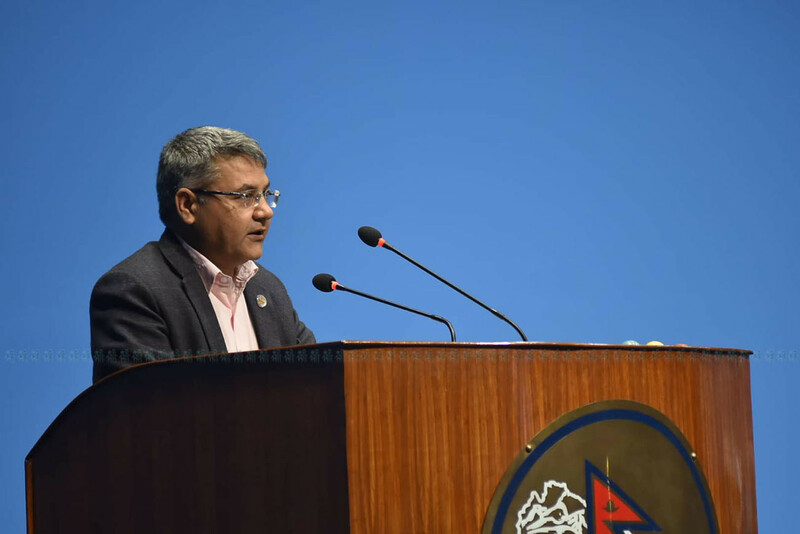 Minister for Communication and Information Technology Gokul Baskota has said the government will stop posting of vulgar and objectionable materials on the social media including Facebook and Twitter. Responding to questions of lawmakers during the discussion on the bill about information technology at the House of Representatives (HoR) on Friday, Minister Baskota said the government has been forced to regulate and manage the social media that has become an integral part of the general public. He revealed that the government will also monitor the users and ask the sites to remove such objectionable posts once the companies are registered in Nepal. “We will not allow superimposing of a known person’s head on the body of an animal. We don’t care whether anybody is hurt by such ban,” he added. He pointed that registration of social networking sites in Nepal also has financial and security implications. “We have not done any survey but billions of rupees go outside the country through advertisements on the social media. There is the issue of revenue on the one hand while it is also related to our security on the other,” he stated. Lawmakers speaking before Baskota raised many questions about the bill. Nepali Congress (NC) lawmaker Gagan Thapa asked whether the government intends to control freedom of expression through the bill. “Our prime minister mocks others daily. So, he is allowed to mock others and the others will be punished for replying to that?” Thapa asked. He claimed that the bill contained many unnecessary provisions and lacked many necessary ones. He accused the government of bringing the bill with an intention of curbing freedom of expression and asked what the government would do if the social networking sites do not come for registration in Nepal. Minister Baskota did not provide solid answers to those questions. The proposal for discussion on the bill was passed through majority.